Swing high and swing low; you might have heard the term being used many times especially among day traders. If you have been confused by what this term means, then this article will explain how. By the end of the article you would be able to identify swing high and swing low points. Why it matters, one might ask. Well it does, because price seldom moves in one direction. 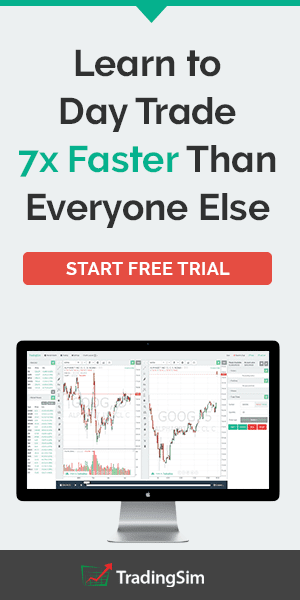 Pull up any chart across any market and you will undoubtedly see the zig-zag fashion. As price tends to flip-flop as it trends higher or lower, you will see the swing highs and lows forming. As a day trader swing high and swing low can reveal important market information. When you understand how to use this information, you can easily play with different trading strategies. With swing high and swing low you can ride the trend to trading even trade the market that is stuck in a range. Swing high and swing low are common to all charts and therefore, the concept can be applied to any market. 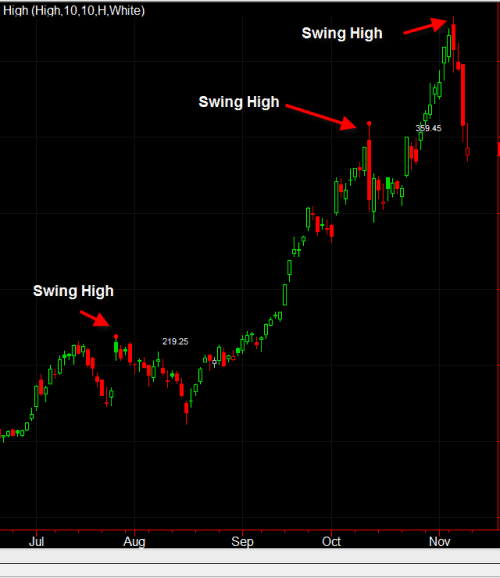 What's even better is the fact that swing high and low can be applied to any time frame. What this means for you is that, understanding how swing high and swing low works enables you to swing trade or day trade the markets. Another aspect to bear in mind is the fractal nature of the swing high and swing low points. 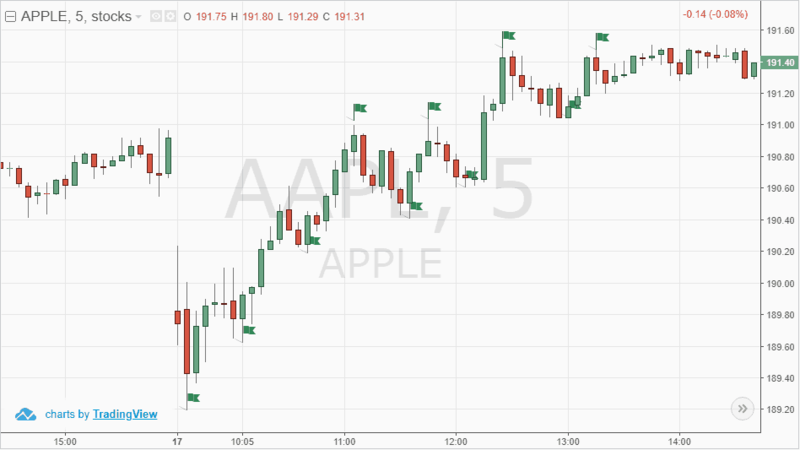 Whether you look at a 5-minute chart or a weekly chart time frame, swing highs and swing lows are easily identifiable. What is a fractal you might ask? What is a swing high and swing low? Why are swing high and swing low formed? How to use swing high and swing low in your trading? Why use the swing high and swing low method? Well, fractal is defined as a curve or a geometric figure, according to this entry on Wikipedia. Each part has the same statistical character. It is a pattern that repeats itself. A good example is that of a snowflake where the fractal pattern occurs as you zoom in. Undoubtedly, there is a lot of math involved and there is a specialized field in the study of fractals. This research article gives a basic insight into fractal geometry. It would be worth a read as it talks about the basics of fractals so you have a better understanding. Below is an example of a Sierpinksi Triangle from this website. You can see from the above figure how the triangle pattern is repeated when you zoom in. 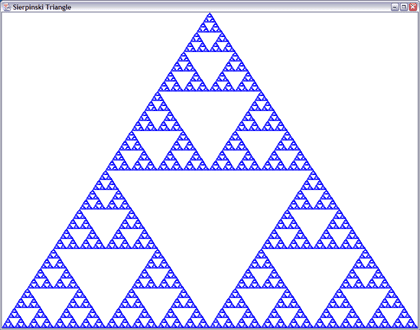 In other words, the larger triangle is made up of multiple smaller triangles in the same fashion. 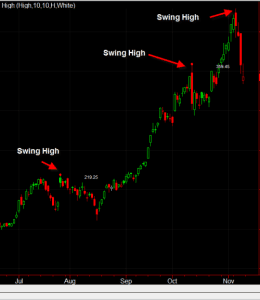 Now that we know what a fractal is, let’s move on to explaining what a swing high and swing low is. So let's start with the very basics. A swing low is when price makes a low and is immediately followed by two consecutive higher lows. Likewise, a swing high is when price makes a high and is followed by two consecutive lower highs. The first chart below shows this definition in action on the price chart. What you see in the chart is a 5-minute chart for APPL. The flags at the top and the bottom show the swing high and swing low. The flags depict the point when price makes a swing high or a swing low. Following the high and the low, the next subsequent sessions form a two consecutive lower high or a higher low. The above is an example of a very microscopic look at the swing high and swing low. For intraday traders, the above chart can reveal quite some information. For example, starting with the first flat on the left side, you can see that after the swing low is formed, price tends to move higher. This tells you that the market is trend higher. What’s more! The second swing low marked by the flag shows that it is a higher low compared to the first flag. Now if you look close enough you will see that the swing highs identified by the fourth and sixth flag are formed almost at the same price level. Subsequently, price tends to make swing highs and lows, each of which is higher than the previous one. This pattern tells you that price is in an uptrend. However, as you might figure out, this is only in hindsight. So how can we capture the uptrend as price tends to make higher highs and lower lows? You simply look at the swing highs and the swing lows. Now let’s add a moving average to the chart above to get a better picture. Now the trend is clear when you look at the 10-period moving average. This is nothing but using swing high and swing low in order to understand the trend. The advantage of using the swing high and swing low is that you are able to define the trend by just looking at these patterns. But you might be wondering why a swing high and swing low is formed in the first place. A swing high and swing low is formed due to what is known as support and resistance. The technical explanation for support and resistance is as follows. A support forms for the price when you notice that there are more buyers than sellers at a certain price. The demand for the asset or the stock overwhelms the supply and thus pushes price higher. A resistance forms for price when you notice more sellers than buyers at the price level. In this case, price fails to move higher and therefore declines. In the next chart below, the support and resistance levels are shown which also coincides with the swing high and low. When price breaches previous swing low or high point and follows up with another swing high or a swing low, price continues the trend. To put this in perspective, when price breaks the resistance level and forms a swing low, it means that buyers are in control. Similarly, when price breaks the support level and forms a swing high, it means that sellers are in control. 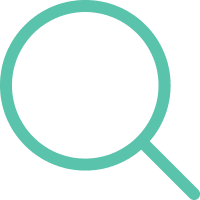 Now that we know the basic principles behind swing high and low, let’s look at how you can use this to improve your trading. There are many ways to use the swing high and swing low in your day to day trading strategies. For one, the swing high and low method can be applied to identifying the trends in the market. You can also make use of the swing high and low based on the larger time frame. In other words, instead of using the basic definition of swing high and swing low, you can identify the turning points based on a larger time scale. 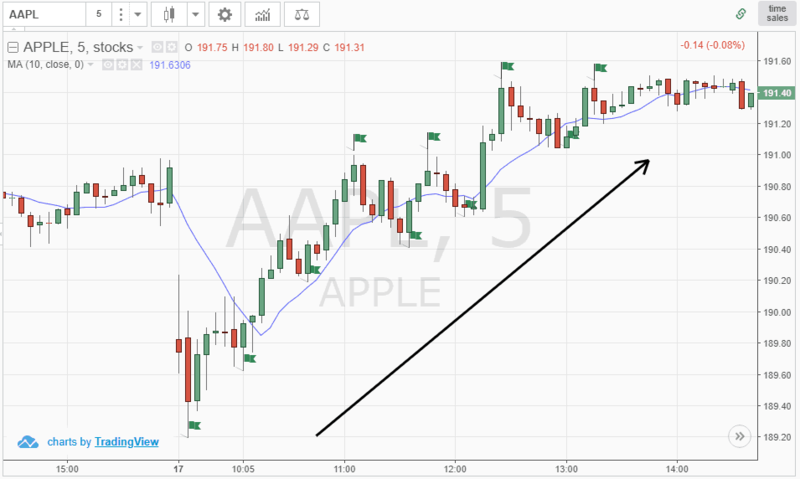 The chart below shows a one-hour chart time frame for APPL. Here, instead of using the swing high and low based on a session or a candlestick basis, we simply identify the swing high and swing low points on a larger time frame. 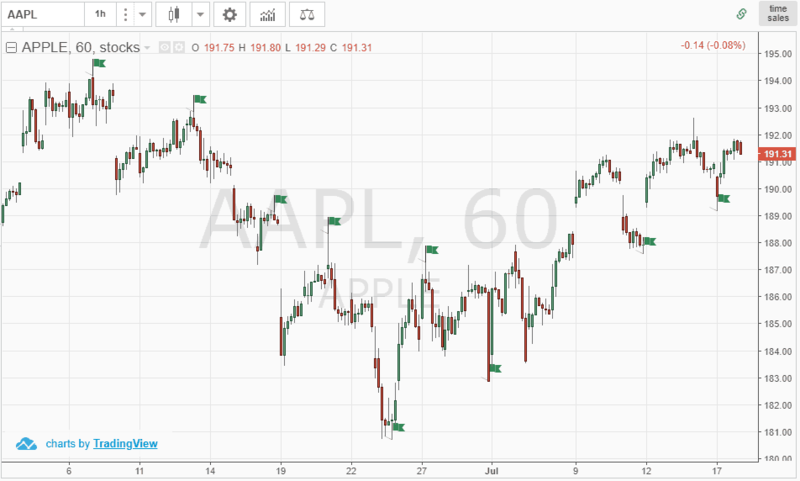 In the above example, you can see that the swing highs and lows are formed over a series of candlesticks or sessions. 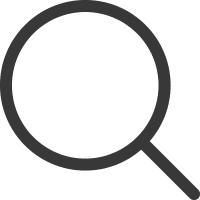 Using this method will help you to identify the trends and trade in the direction of the trend. For example, the first four swing highs on the above chart indicate that price action is in a downtrend. However, after the swing low is formed, you can see that subsequent swing lows tend to post higher lows. Eventually, price action starts to move higher and you can see that the trend changes direction. This is evident from the third swing low that forms above the previous swing high point around the 187.00 price level. Using the above information you can easily trade the downtrend or even the uptrend when the direction changes. The swing high and swing low also alerts you to potential breaks of support and resistance levels. This enables you to ride the momentum in price action. As mentioned earlier, you can trade the trends with ease using the swing high and swing low method. You can apply other trend trading strategies as well using this method. Let’s take a look at the below example on how we can use a simple oscillator along with the swing high and swing low method. 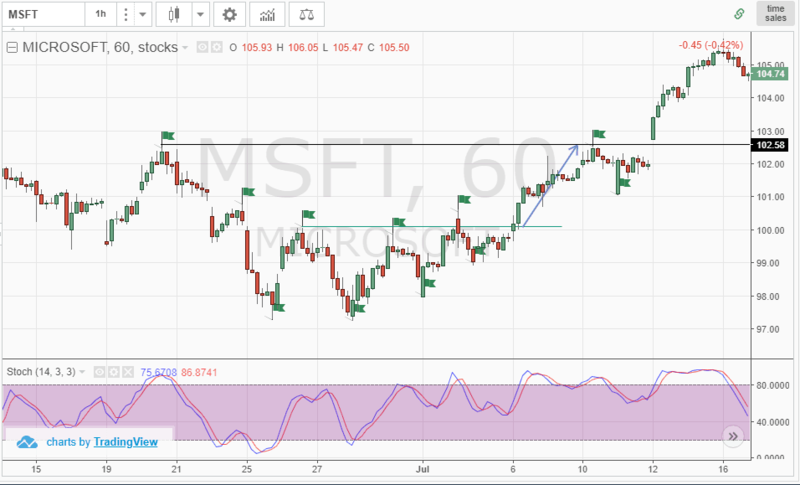 The chart below you see is for MSFT, 1 hour chart. We only add the Stochastics oscillator with the default period settings of 14, 3, 3. In the above chart, the usual swing high and swing low points are plotted on the chart. You can see that after price forms a bottom, the swing highs are formed around the same price level. Similarly, the lows in price action show that price forms a swing low near the same area. 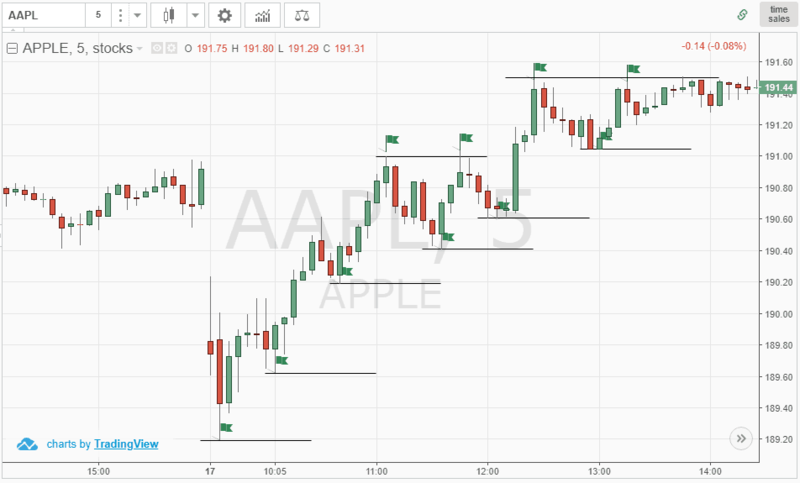 After this bottom formation, price action starts to move gradually higher. This is evident from the fact that the swing lows start to post higher lows. Eventually, price breaks the resistance level of 100.00. Just prior to this price action, you can see another (third) swing low being formed. By this you already can see that price is in a clear uptrend. Buying on the break above the resistance level would give you a chance to ride the uptrend. 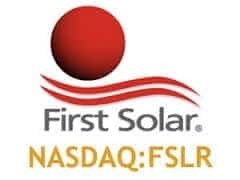 The first profit can be booked near the previous swing high of 102.58, while leaving the rest of the position open and by covering the risk. The above method is just a simple way to trade the trend by merely using the concept of swing high and swing low and an oscillator. 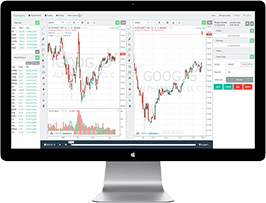 You can also use this method with other indicators such as Bollinger bands or making use of overbought or oversold levels. The swing high and swing low method as demonstrated above shows you how to capture the small but very significant movements in price action. The swing high and low methods can help you to identify mainly the support and resistance levels. Using this information which can be applied to any chart and time frame, traders can easily build or improve their trading strategies.